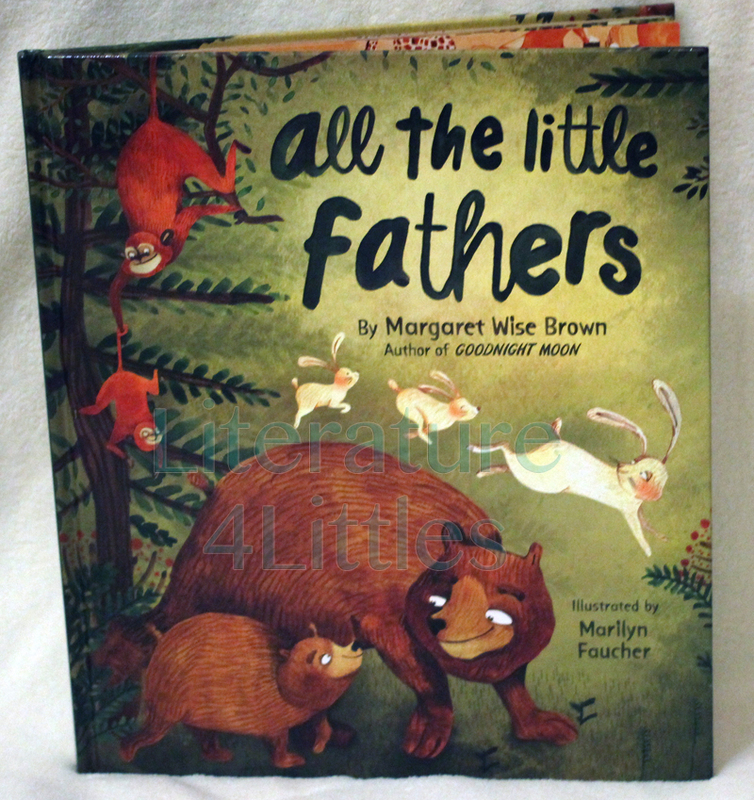 I rarely see children’s books that focus on the father, so I was excited to get my hands on this lovely book by Margaret Wise Brown. All the Little Fathers is written by the same author who gave us the classics Good Night Moon and The Runaway Bunny, and this book contains the same loving, caring impressions we’ve seen in her other works. This hardcover book has standard glossy pages, which can be torn by little hands. Nevertheless, the book’s simple text is clearly meant for a younger audience. Each page in this fully-illustrated book depicts the father of a specific animal interacting with or caring for their young one(s). The book, illustrated by Marilyn Faucher, portrays these fathers in the most positive and wonderful way in vivid natural scenes. I would recommend this book for babies through toddlers.